Ships tomorrow if ordered in the next 21 hours and 42 minutes! The new HI 721 Checker HC portable handheld colorimeter features a resolution of 0.01 ppm (500 points) and 0.04 ppm 2% of reading accuracy. The HI 721 CheckerHC uses an adaptation of Standard Method 315 B. The HANNA HI 721 Checker®HC bridges the gap between simple chemical test kits and professional instrumentation. 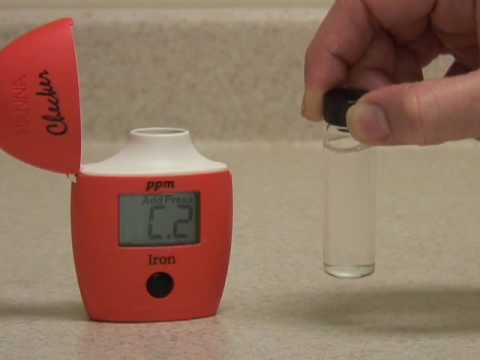 Chemical test kits are not very accurate and only give 5 to 10 points resolution while professional instrumentation can cost hundreds of dollars and can be time consuming to calibrate and maintain. The HANNA HI 721 Checker®HC is accurate and affordable with immediate results. The new HI 721 Checker®HC portable handheld colorimeter features a resolution of 0.01 ppm (500 points) and ±0.04 ppm ±2% of reading accuracy. The HI 721 Checker®HC uses an adaptation of Standard Method 315 B. 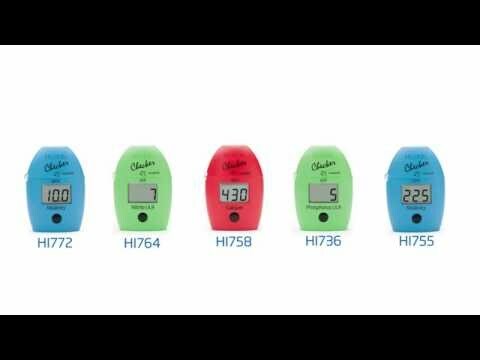 The HI 721 Checker®HC is extremely simple to use. First, zero the instrument with your water sample. Next, add the reagent. Last, place the vial into the HI 721 Checker®HC, press the button and read the results. It’s that easy. HI 721 Checker®HC is supplied with sample cuvettes with caps (2), powder reagents for iron (6), battery and instructions. Method adaptation of the EPA Phenantroline method 315 B, for natural and treated waters.